Charles Movalli has lectured and demonstrated painting techniques for over a hundred different art organizations. He has judged shows in Massachusetts, North and South Carolina, New Jersey, New York, Indiana, Kansas and Bermuda. He has given workshops in 24 states, Bermuda, Mexico, Canada, England, France, and Switzerland. 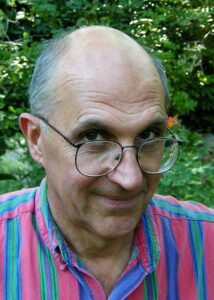 Charles Movalli was a Contributing Editor to American Artist magazine, for which he has written over 70 articles on art and artists. His articales have also appeared in the Southern Accents, Southern Boating, Southwest Art, and The American Art Review. An article on his own work appeared in American Artist, June, 1986. His work has also appeared in Frank Webb’s Dynamic Composition, Wendon Blake’s Artist’s Guide to Using Color, and Stephen Doherty’s Handbook to Landscape Painting. He wrote a historical preface to William Hunt’s On Painting and Drawing. He also edited: How to Paint Successful Seascapes with Roger Curtis, Color in Outdoor Painting with Roer Curtis, Croney on Watercolor with Claude Croney, Painting with Light with Betty Lou Schlemm (also issued in Japanese), The art of Landscape Painting with Paul Strisik (also issued in Chinese), Gruppe on Painting, Brushwork, Gruppe on Color, and Brushwork for the Oil Painter, all with Emile Gruppe. BA Clark University, Worcester, Ma. Ma and PhD UNiversity of Connecticut, Storrs, Ct.